BEDFORD-STUYVESANT — Two unused lots in Bedford-Stuyvesant may get a makeover, thanks to a group of organizers who have agreed to be caretakers for the long-neglected spaces, according to an organizing group. 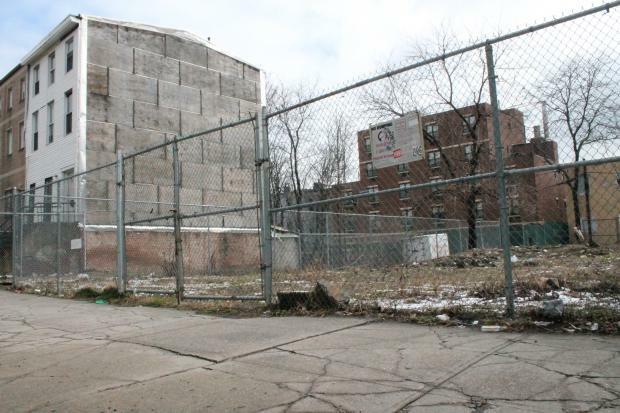 The two lots, at 716 Lafayette Ave. and 463 Tompkins Ave., which have been vacant since at least 2011, were pre-approved to be turned into a community garden by the Parks Department, according 596acres.org, a group that helps community members turn vacant lots into green space. Now organizers are hoping they can turn the spaces into "wild diverse abundant magical garden[s]" through the city's GreenThumb program, according to one post from an organizer on 596acres.com. At the Lafayette Avenue location, one organizer recommended creating a spiraled garden with "edible permaculture" and bamboo plants. On Tompkins Avenue, an organizer recommended a community compost project and a terrace garden. 596 Acres, which launched in 2011, has helped create 2.4 acres of community-controlled green space in the city, the group's site says. The site utilizes an interactive mapping system to help people find space to create new community gardens, including a number of spaces in Bed-Stuy. Those spaces include the Patchen Community Square at 868 Putnam Ave., the 462 Halsey St. community garden, the 100 Quincy St. community garden, and a lot controlled by Myrtle Village Green at 631 Myrtle Ave.
Another lot at 340 Tompkins Ave. in Bed-Stuy has received "nearly official status," according to the group. The GreenThumb program provides resources to more than 500 community gardens in the city, according to the Parks Department website. After receiving GreenThumb approval, in order to officially take over the space, organizers have to provide a series of documents — including a letter of support from the local community board — to the Department of Housing Preservation and Development, which owns the space. Since all HPD-owned lots have to be made available for affordable housing, organizers must also submit a letter acknowleging that the space would only be for "temporary" use, HPD sources said. "When such a time comes we will work together to get you all relocated," a GreenThumb representative reportedly told the organizers.